Attraction Development plan, click below. 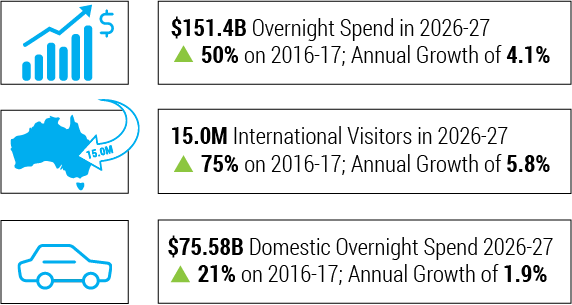 With an increasing number of Australian destination and tourism bodies struggling to increase visitor dwell time, overnight stay and inmarket spend, trends in night-time spectaculars are becoming wildly popular and more competitive. Night-time attractions are helping these bodies improve their bottom line and become leaders in a competitive market. With the continued and steady growth of tourism to Australia at 10%1 over the last 5 years, the Australian Government has implemented grants and tourism initiatives to assist state and local councils in developing new and exciting entertainment and tourism attractions. Tourism Australia received $148.3 million in funding in 2017-182. With 10-year projected tourism figures for Australia showing healthy growth, businesses and councils are exploring new ways to secure their share of the overnight visitation increases. Meaningful entertainment experiences that drive ROI are becoming essential for destination and tourism bodies who want to leave a lasting impression with audiences. Events such as: Swan Hill, Pioneer Settlement’s ‘Heartbeat of the Murray’ and Vivid Sydney – The world’s largest festival of light, music and ideas—have gained worldwide attention and set an impeccable standard for such attractions. LASERVISION’s Mega Media installations have become universally sought after. These installations combine amazing creative content with cutting-edge technologies, creating immersive experiences for audiences around the world. With highly efficient operational costs as well as being upgradeable, reprogrammable, and creatively adaptable for diverse environments, these attractions typically return more on investment than one-off events and festivals. They generate revenue on a long-term basis with the reprogrammable aspect encouraging revisitation from tourists and locals. Pioneer Settlement in Swan Hill, Victoria knew they wanted to diversify and develop a night-time spectacular of their own. Pioneer Settlement, Australia’s first open-air museum, celebrates the life of the Australian pioneer with historical recreations and authentic restorations. The Pioneer Settlement opened in 1966 after a joint community and government effort to recognise the unique history of our Murray Mallee region. By the 1970s, the Pioneer Settlement was one of the most popular tourist destinations in Victoria.4 However, in recent years’, the Pioneer Settlement started experiencing waning tourism growth and wanted to diversify their night-time offerings to the region and spark overnight tourism growth for the Swan Hill region. Pioneer Settlement and Swan Hill Rural City Council were impressed and confident in the vision and creative talents of LASERVISION. After going through the unique Attraction Development Process, they were able to secure funding in partnership with Regional Development Victoria and Swan Hill Rural City council to the tune of $2.8M AUD. As a result, LASERVISION’s unique and historically accurate sensory extravaganza, Heartbeat of the Murray opened in December of 2015 to great acclaim and began to bring in the night-time visitors to Swan Hill and Pioneer Settlement. 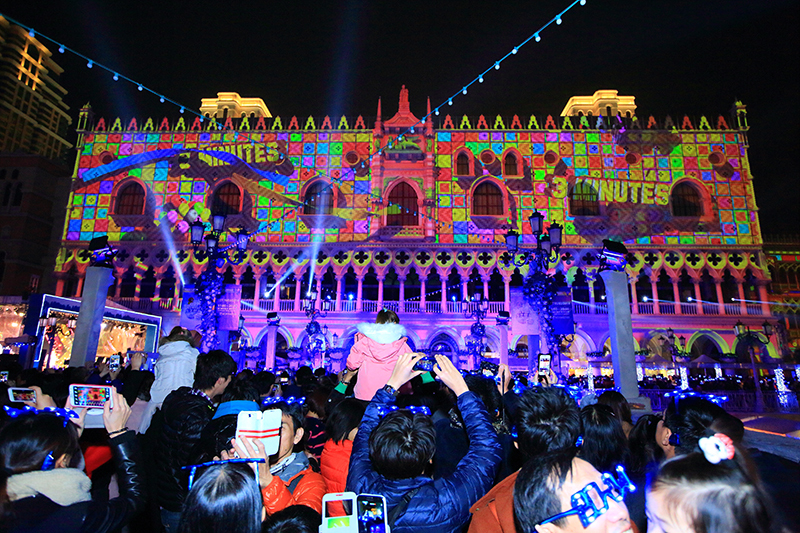 The Attraction Development process developed by LASERVISION over the past 35 years has been used to establish the framework for development of world-class attractions including The Guinness World Record Setting A Symphony of Lights Sound and Light show in Hong Kong, and the recent 2 x Guinness World Record IMAGINE attraction in Dubai. Our process is a tried and tested methodology designed to provide valued clients with professional advice to make informed decisions and project foundations to be established; leading to increased ROI, efficient project management, and creative collaboration with our clients. visitation with help from our Attraction Development Team.